Please see the link below from Windsorite.ca discussing all that's happening this weekend at Forster High School. Unfortunately, I will not be able to attend this weekend as I will be away. 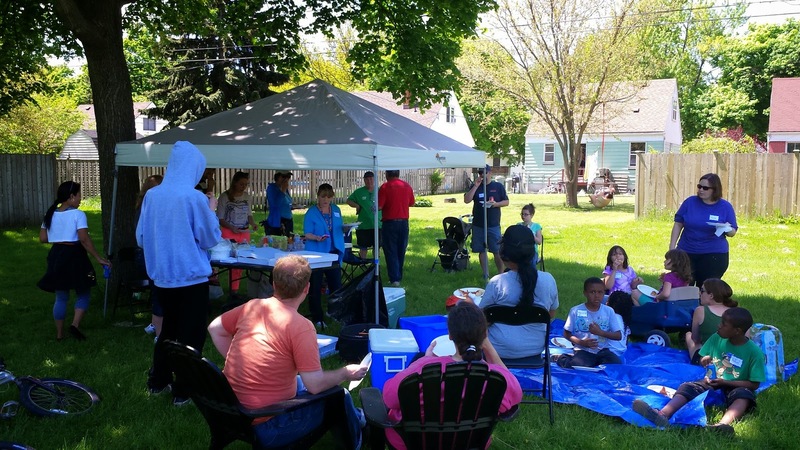 Bridgeview Community Outreach Group Needs Volunteers! I received an email below from Rita Higgins who is involved with the Bridgeview Community Outreach Group. THE BRIDGEVIEW COMMUNITY OUTREACH PROGRAM INC.
Are you community-minded? Would you like to help out with youth between the ages of 8-18? If so, The Bridgeview Community Outreach Program Inc. is looking for dedicated volunteers. Twice a month on Sunday afternoons, we get together for a pizza party. We have inspirational guests to speak to the kids about various topics, we do crafts for special occasions, we plan fundraisers, and we always have a great time! If you are interested in volunteering, and can do so consistently, please contact us at the information below. Please see an article below from the Windsor Star and please help spread the word. Westview Freedom Academy (formerly Forster and Century) may need help fundraising money for sports uniforms, among other things. Rose City Clean Sweep a Great Success! Over the weekend, several groups, youth and residents in the west-end dedicated a few hours to beautifying their neighbourhoods. We picked up quite a bit of garbage! A big thank you to Great Beginnings and Tammy Murray who organized and hosted the event and to all of the volunteers who helped make it a great success. There was a judgment today on an Application brought by the Ambassador Bridge Company in Federal Court. The judge ruled that the Federal Court did not have jurisdiction to hear the matter. The judge therefore granted the Respondent's (the City of Windsor) motion to strike the Applicant's (Ambassador Bridge Co.) Notice of Application. The court then awarded costs to the Respondent of $25,000 which means that not only does the Ambassador Bridge Co. get its Application denied, it also has to pay the City's legal fees. It is important to note, however, that the Ambassador Bridge Co. can still argue that the bridge falls under federal jurisdiction in the Ontario Superior Court. In sum, this entire application was a complete waste of time and money. Please see the link below by Claire Brownell of the Windsor Star who has done an excellent job over the years covering the boarded-up homes issue in Sandwich Towne. Tammy Murray, the Our West End initiative Community Coordinator, is hosting and facilitating a Clean Sweep in the west-end. It will take place this Saturday, May 24th at 10:30am - 12:30pm. There will be a volunteer community gathering afterward at North Merritt Park where pizza and refreshments will be provided. We sent out notices earlier, but we are still accepting volunteers if you are interested in helping and cleaning up your neighbourhood. Please contact Tammy at 519-567-4331 by May 23rd at 3pm if you are interested in getting involved. This is a joint collaboration between the Great Beginnings Child Centre Cooperative and the Bridgeview Community Youth Outreach Group Inc.
A big thanks to the United Way and Life After Fifty for supporting this initiative. Please see below an email I received from Rev. Sue Paulton at St. Mark's Church. This is sad news as yet another church closes in our community. See below and spread the word. This is an important meeting that will feature, among other things, issues important to seniors in Windsor West. 635 MCEWAN AVE. Windsor, ON - Life After Fifty is proud to host a Windsor West Candidates Meeting as an opportunity for the Windsor West Candidates to showcase their election platform to our members and the general community in advance of the June 12 General Election. The meeting is scheduled to take place at 10amonFriday, May 23rdat the Life After Fifty West Side Centre, located at 635 McEwan Ave. This is an open event and all are welcome and encouraged to attend. Representatives who will be in attendance will be: -Teresa Piruzza representing the Liberal Party & -Lisa Gretzky representing the New Democratic Party. 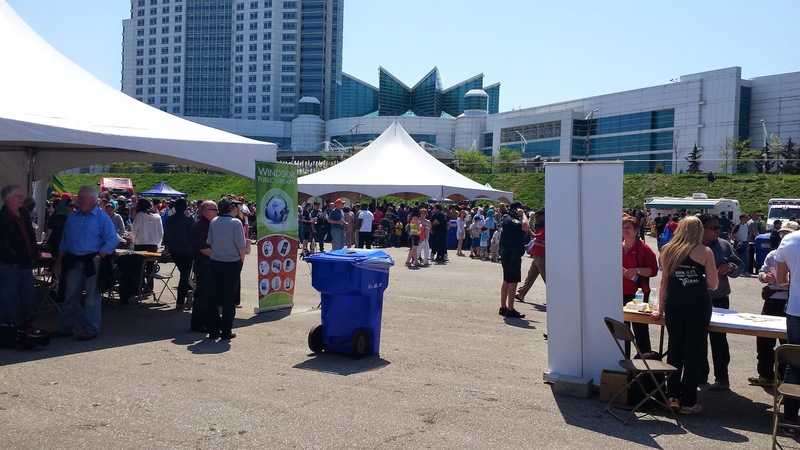 I attended the Annual Mayor's Riverfront Walk yesterday to celebrate Windsor's birthday and to support a friend who was recognized for an award from the Mayor's Youth Advisory Committee (MYAC). It was a great turnout and such a beautiful day. Here are a few pictures from that event. On my way back home, I biked past the Herb Gray sculpture at the foot of Ouellette on the riverfront. I took a moment to remember all of the things I learned from the late Herb Gray. Some say he was a statesman who listened and worked hard for his constituents and who represented both his riding of Windsor West and his country well. “He was a man of the people…one of a kind”, exclaimed a close-by neighbour and west-end resident who remembers volunteering on his campaigns back in the 1970’s and 80’s. I just wanted to let you all know that my bike was stolen from LAF today. I especially wanted you all to be aware of this because it was taken during business hours (and in the daylight). I locked it up on the bike rack in the front and when I left tonight at 8:30pm, it was gone, and so was the lock. In the off chance that someone thinks they found it - it's dark purple, has a water bottle holder on the middle bar, a flashlight on the front (held on by electrical tape haha) and a bell on the left handlebar with a sticker on it that says "I (heart) my bike." I've said my goodbyes though. I don't think she's coming back haha. So just keep an extra eye out for strangers. Stay safe everyone! can you post the following to your blog. Between the hours of 10:00pm Sunday May 11, 2014 and 8:30 am Monday May 12, 2014 two bolts were thrown at the sidelight windows of our front door breaking one of the windows. If anyone has information regarding this they are to contact the WPD at 519-258-6111. Thank – you." Sandwich Farmer's Market Bear “Cubcert!” Introducing Charles, Chance and Frankie - Performance for children in both English and French. What:The Bears: Charles, Chance and Frankie perform boys' and girls' favourite nursery rhymes in bilingual--English and French- CubCerts this summer at the Olde Sandwich Towne Farmers' Market. Come join us for all the fun!Entertainment for children, foodbank, and charity fund-raiser. Please see the Windsor Star notice below. Please see an email I received from a west-end resident and please try to attend if you can. 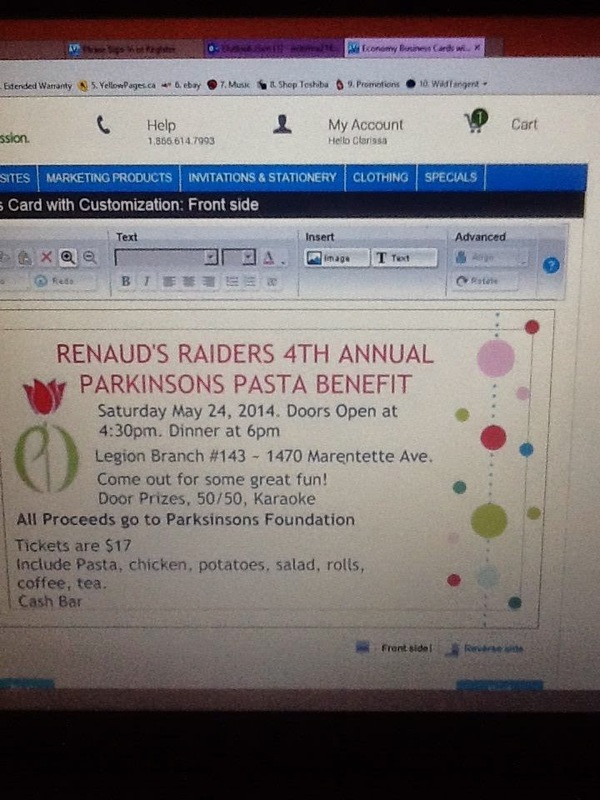 "Fabio, attached is a copy of a ticket to our 4th annual Pasta Dinner for Parkinsons . All the pertinent info. is on the ticket. I was hoping you could enlarge the image and share it with your readers. This is our 4th event and we have raised close to $30,000 thus far. Having been diagnosed with this disease I hold this event near anddear to my heart. If possible We would love to see you there as well." On Wednesday, May 7 at Mackenzie Hall, from 6pm - 8pm The Bloomfield House is excited to invite everyone to the launch of "Art Explosion" The Launch will include artist demonstrations, poetry, music and refreshment. This year The Bloomfield House partnered with Living through the Arts and The Royal Conservatory and were granted funding from The City of Windsor’s Art, Culture and Heritage Fund as well The Royal Conservatory’s Youth Empowerment program to provide free art workshops for children as young as 7yrs old to youth as old as 20 yrs old through-out the spring and summer. In case you missed it, see the excerpt below along with a link to the Windsor Star regarding the status of the new DRIC bridge. This is important news for the west-end and I will keep you apprised as things further develop on this file. Please see an email I received below from a west-end resident who recently visited a new business that opened up in the neighbourhood. It is always great news when a business opens up in our community. There is an new eating place that has recently opened in the West End. It’s called, NADER’S Quality Cuisine and Café. It’s located at the corner of University and Campbell. He is open Monday to Saturday 9am to 7pm, serving, quick heat meals, café soups and lunch items, along with a coffee and muffin specials all day. Prices are very reasonable. That little place has been all redone and cleaned up. Very nice and bright on the inside and his food is great. His menus are not on hard copy as of yet but he posts his daily specials in house. Go around and check it out, you’ll enjoy. Thanks Supporting the West End."